The city of Salford is situated in the North West of England, with a population of just over 200,000 at the last census. The majority of Salford residents today identify as Christian but there are also small Jewish, Muslim, Hindu and Sikh communities. Salford is part of the Greater Manchester conurbation. There are over thirty places of worship in Salford including a Roman Catholic cathedral, the Central & North Manchester Synagogue, together with Church of England, Methodist and Congregational churches. As well as the cathedral there are several Roman Catholic churches. There are six firms of funeral directors in Salford, serving the needs of its diverse community. Burials are available at the four cemeteries in the city at Agecroft, Peel Green, Swinton and Weaste. The newest cemetery is at Agecroft, which also offers cremations and is managed by Salford City Council. Salford has a well-preserved heritage which is celebrated through its architecture and places of worship for both Christian and Jewish residents. Funeral directors in Salford can provide services that are tailored to the needs of local people, whether they wish for a traditional burial or an environmentally friendly woodland ceremony. 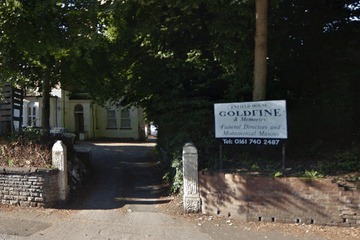 Search for local Salford funeral directors now to see funeral homes near you. You can filter search results by best rated, most reviewed or nearest to you. Click on a funeral director’s listing to see their profile page, where you can read independent customer reviews, search for recent obituaries, and learn more about the funeral services they can offer to you.